What Sets Us Apart from the rest of the pack? First I’d like to say that ALL of the pictures on our website are BlueGrass Frenchies and our offspring. We hope that you enjoy all of the pictures as you are reading through the content on this page. We thought the pictures would make the reading more fun! 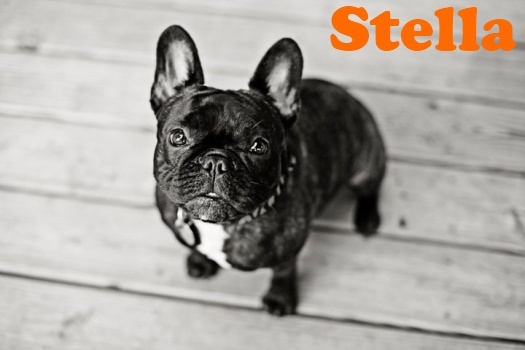 About us…We don’t just breed French Bulldogs our Frenchies are our furry family. Talk to anyone who has one of our French bulldogs and they will tell you that the extra time, love and care we put into hand-raising our French bulldogs is “priceless”. If you are looking for cheap you are not looking for quality. We hope that as you read through this page you will see that we know Frenchies AND we care enough that we want our new families to be well informed too. We are very hands on with our French bulldogs from the time they are born until they are in your loving arms! French Bulldogs may look tough on the outside, but inside they are lovable, soft, caring and easygoing. These dogs spread the good vibes wherever they go. Outgoing and open, they love nothing more than to cuddle on the couch, romp on the carpet or play in the yard. Boasting unlimited energy, they sometimes have no idea when (or how) to stop their motors. But, with a French bulldog, things never get out of hand. They rarely lose their cool, snap or bark. They simply want to roll around and play. All of our French bulldogs are bred on our 60 acre farm. We are dedicated to raising quality French bulldogs for both pet and show homes. We DO NOT sell our French bulldogs to pet stores, puppy mills or other breeders unless they go through our extensive breeder interviewing process. We don’t import any puppies to resell. All of our puppies are really our puppies. Our daughter’s, when they can be, are right there in the delivery room with us helping with the mom’s C-section. Then once we get our babies home we take turns sitting with mom and newborns to make sure they are all getting the attention that they need. Raising our French bulldogs is a total family endeavor. We also have a full time “Puppy Nanny” that comes to our house and stays all day while we are at work. We spare no expense making sure our French bulldogs have the VERY best care! We don’t just stop here either. We want your puppy to leave us with the BEST that we can provide for you and your puppy. This is an AKC program that focuses on breeding dogs with Health, Education, Accountability, Responsibility, and Tradition in mind. We are proud to announce that we are members of this program and strive to uphold their expectations. Health: You certify that your breeding stock is health tested in accordance with the recommendations of their breed’s AKC Breed Parent Club. Education: Promising that you will pursue AKC-provided or AKC-approved continuing breeder education so that you stay educated on the best breeding practices, including advances in canine health. Accountability: Agreeing to comply with the AKC Care and Conditions Policy, including inspections by the AKC, and promising to share health testing and continuing education documentation with AKC. Responsibility: Accepting responsibility for the health and well-being of the puppies you produce and for complying with all laws regarding the ownership and maintenance of dogs. Tradition: Upholding the AKC’s tradition of breeding purebred dogs that are happy and healthy. ALL of our puppies come with an AKC Complete Puppy Protection Package. 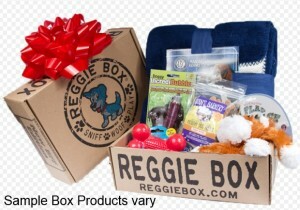 We like to include a little “fun and comfort” as well so we provide you with a new puppy starter kit. Puppy probiotic to help with transition and more! You can read more about the Blissful dog on their website. Owner and developer Kathy was once a French bulldog breeder and she remains very loyal the to the breed. As you can see we want our Frenchies to be Happy, Healthy, Social & Friendly. We breed for HEALTH first followed closely by conformation and temperament. That is our goal and we hear from our families we have been very successful at providing that. Don’t just take our word for this though, read our referral page or click on the link at the bottom of the page and join us on Facebook. We want you to feel 100% comfortable getting your French bulldog from us. Take a look around our website and see all of our Amazing French bulldogs. I think you will also see how much our Bluegrass families care about us and how much we care about them. We sure hope that it SHINES through!